The John T. Cunningham Scholarshipis awarded in honor of John T. Cunninghamwho was adedicated alumnus of Morristown High School (Class of 1932) and was named “Mr. New Jersey” for his widely-published books about our state. He was exceedingly proud to have his name linked with this opportunity to encourage an aspiring student in the broad field of communications. 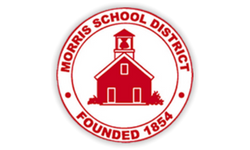 The Morris Educational Foundation is able to provide this scholarship as a result of the profits derived from Mr. Cunningham’s book about Morristown High School, Youth’s Bright Years: An American High School. 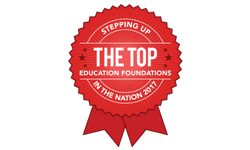 This scholarship will be awarded to a member of the graduating class who has shown proficiency or strong and active interest in written, spoken, or broadcast communications. Preference will be given to a student who has participated in school publications or radio and television programs and who plans to attend a four-year college or university with strong communications or advertising programs and major in a communications-related field. Why are you pursuing studies in the communication field? Who is your role model in the field of communications and why? One from an MHS teacher of written, spoken or broadcast communication classes. One from the MHS faculty member who is most familiar with your service and/or volunteer activities.